Looking for An Edge Over Your Competition? 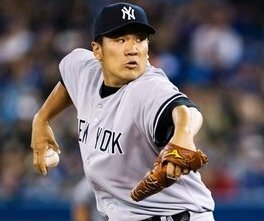 Each week, we will open up the new week by giving you a brief recap of some of our best picks from the previous week's RotoBaller Daily Fantasy Baseball (DFS) Lineup Picks newsletters. With your exclusive subscription, you will be entitled to three (3) weekly newsletters that give you a minimum of 15 of the most well researched player recommendations per day for Fanduel! That is a total of at least 45 can't miss player recommendations for your gaming pleasure each and every week. 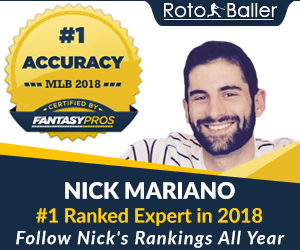 At RotoBaller, we do all of the exhausting and time consuming hard work and research on a daily basis to ensure that you have the inside edge you need to make you a consistent winner week in and week out. Although we base our analysis on Fanduel's player pricing, these high-end recommendations can also be used for most daily league fantasy baseball sites like Draft Kings, Draft Street and others because our analysis is done for each particular day and matchup. 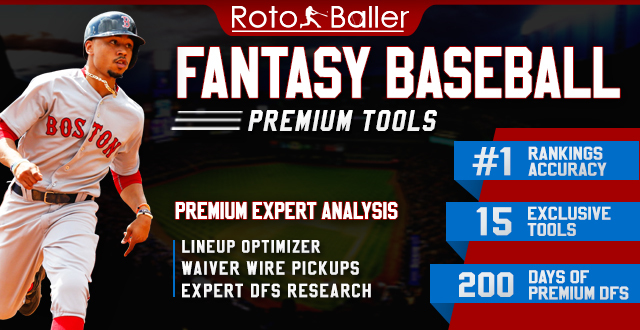 Besides some slight pricing variance, you will be able to get solid sleepers and strong player recommendations for each day you choose to have an edge playing Daily Fantasy Baseball. Those who play in daily fantasy baseball leagues understand how the priced-in unpredictability of playing 32 MLB teams over a 162 games schedule can create an algorithmic nightmare for those of us trying to accurately predict the outcomes, therefore we use an internal valuation system that rates any position player that scores 4+ FP, or a pitcher who scores 12+ FP, in any given day, as a successful and profitable pick for us and our subscribers. Want some PEDs for your daily league lineups? Our exclusive daily league lineup picks will help you win. Want our lineup picks for free? 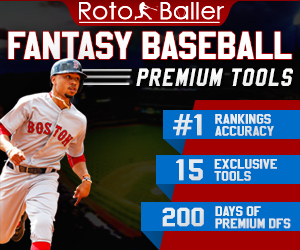 Sign up for a new Fanduel account, make a deposit (which they match), and receive a FREE MONTH of RotoBaller’s expert MLB lineup picks for DFS leagues! Now that we've done all of the hard work in researching the best possible players for you to choose, all you have to do is create an account, set your lineups using the help of our recommendations, and be ready to look like a fantasy baseball superstar to all of your friends, family and home town league-mates. For some more resources about how to win playing daily league fantasy baseball, don't forget to read our articles that give beginners and intermediates the information they need to learn how to play the game we all love.